When lines and wrinkles cause you to feel less than confident, Botox® injections may a solution for you. 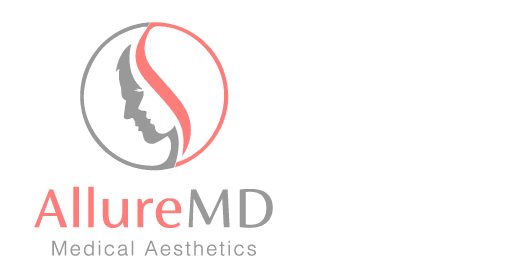 Dr. Sheila Patel of AllureMD in South Loop, Chicago is experienced at administering this treatment to soften the appearance of wrinkles. For a consultation about how Botox can help you, call or book an appointment online today. Botox is an FDA approved medication that is used to improve the appearance of wrinkles in men and women. Over time, making repeated facial expressions causes lines to form. Botox works to reduce the appearance of wrinkles by temporarily weakening certain facial muscles that lie immediately under the skin. When the muscles under the skin have less movement, the skin appears smoother and less wrinkled. You will still be able to make normal facial expressions. Botox can be used to prevent deep lines from forming as one ages, or to lessen the appearance of lines that already exist. Crow's feet, which are deep creases at the outer corners of your eyes. All these lines are created due to long-term, repetitive muscle movements when you smile, laugh, frown, squint, or make other facial expressions. What does a Botox treatment entail? Initially, you will meet with Dr. Patel for a full assessment of your skin and to discuss goals for your treatment. Each treatment area receives 3-5 injections, depending on the area being treated. Typically, each treatment area takes around 10 minutes. You will be able to return to normal activities immediately. You notice results between 3-4 days and can look forward to about four months of diminished wrinkles. Women who are pregnant or nursing should not undergo Botox treatment. In addition, patients with nerve/muscle disorders, such as ALS, myasthenia gravis, or Lambert-Eaton syndrome, should avoid treatment. What does preparation for Botox entail? For a consultation about how Botox can improve your wrinkles, call or book an appointment with AllureMD today.